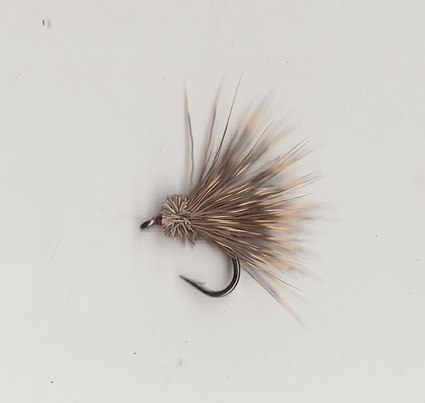 Trout feeding on small insects in the film or on the surface can not resist this fly. Fish a single fly on a long leader (15ft +) and cast at rising fish. The trick is not to overcast, even with light #4/5 lines and fine leaders it is easy to scare fish feeding in shallow clear water. Move a lot, try fresh water, leave the fly on the water if the fish you cast at ignored it, there may well be over fish that will move into the area. I usually fish this fly untreated it floats in the film that way, some days the fish want the fly higher in the water so apply some Gink and see what they think.